Dave Keller wants to give you a hug. (Musically, of course! Don't just walk up to the dude and hug him because I said so. I don't want that on me.) Though Keller often uses his brand of blues-rock as a tool of melancholy, on his latest album, Every Soul's a Star, he wants to let you all know: You're pretty damn special. Originally from Massachusetts, Keller landed in Montpelier back in 1993 and has spent the decades since carving out a reputation in the Northeast as a talented songwriter and a ripping blues guitarist. The names he's played and recorded with are no joke, especially soul-blues legend Johnny Rawls, who hooked Keller up with the folks at Catfood Records. The label did Keller two major solids for his new record: One, they flew him to Texas to record with Grammy-winning producer Jim Gaines (Santana, Stevie Ray Vaughn). Two, they backed Keller with Catfood's badass house band, the Rays. The result is 11 tracks of immaculately recorded blues-rock comfort food. Ten of the songs are Keller originals. The record also includes a cover of "Baby, I Love You" as a tribute to the late Aretha Franklin. It's a nice touch and a decent take on the song, but Keller has a point to make with his own tunes. The award-winning singer and guitarist has been plenty confessional on his past efforts, particularly his 2013 LP, Soul Changes, but his newest set of songs exudes a sense of optimism. "Don't Let Them Take Your Joy" opens the record on a lean, mean foot. The Rays come out with a swagger, horns blaring like an old cop show theme song, and Keller coaxes some truly filthy notes out of his Stratocaster. The song serves as a sort of introduction to Keller's worldview: Happiness is paramount, love is out there, and he believes we all deserve both. The title track drives the point home and goes almost gospel with inspired backing vocals from Janelle Thompson and Shakara Weston. On "Freedom Is Ours" Keller stays upbeat but tackles some bigger issues, from slavery to immigration. "Can't you hear the drums / Can't you hear the beating / We're coming down the street, and we are singing," he wails, envisioning a diverse cross-section of Americans marching against a rising tide of authoritarianism. The song could come across as uninspired, à la Paul McCartney's ill-advised 9/11 ode/stinker "Freedom." But there's urgency to Keller's vocal and playing that the Rays pick up on, and the song comes across as genuine. This is still a blues record, though, with the required amount of heartbreak. "Kiss Me Like You Miss Me" romps along with a sound right out of Memphis, as Keller reminisces about a too-long-away lover, hoping to reconnect. It also features one gorgeous guitar solo from the Rays' Johnny McGhee, a Motown artist with as much pedigree as chops. Backed by a hell of a band and aided by top-notch production, Keller hits his stride on his new record. 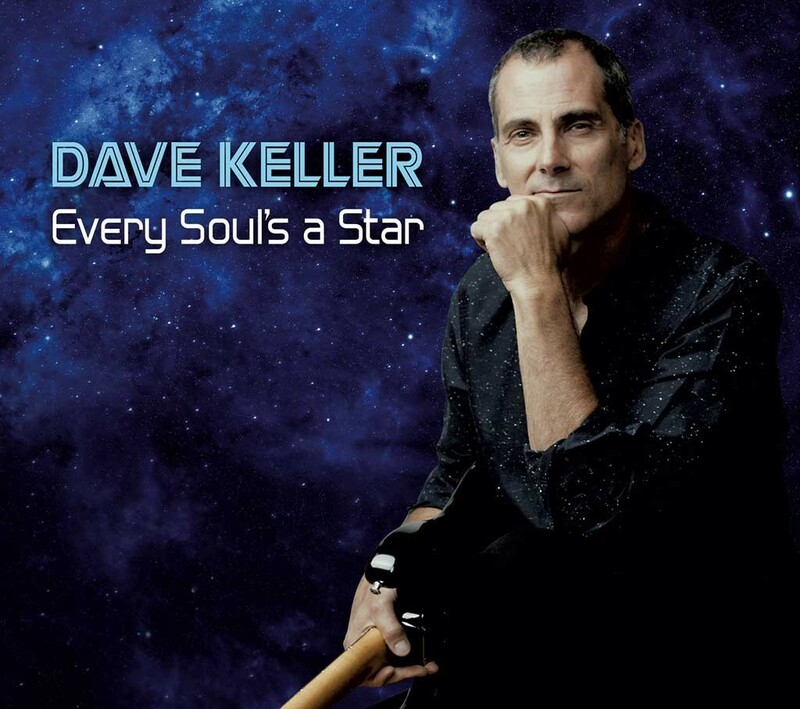 Every Soul's a Star is available on Friday, October 19, at davekeller.bandcamp.com. Keller plays a hometown release show on Saturday October, 20, at Sweet Melissa's in Montpelier.